If you have a question what size should be at the dining table so you are closer to the process of buying a table for the kitchen. In this article we will consider what are the most popular sizes of dining tables and how long to choose a table. What are the sizes of dining tables? The standard width of any table for the kitchen is 1 meter or 100 centimeters. The length of the dining table is 2.0 meters, 2.2 meters, 2.4 meters, 2.6 meters, 2.8 meters, 3.0 meters. The longest dining table for the house can be more than 3 meters, but such a table is made to order, in the store a dining table longer than 3 meters will not be able to buy. The most popular sizes of dining tables that buy this length from 2.4 meters to 3 meters. But if the kitchen has little space then buyers choose dining tables 2 meters long. What length to choose for the dining table? Dining tables made of natural wood are valued for their quality and can last more than 10 years. 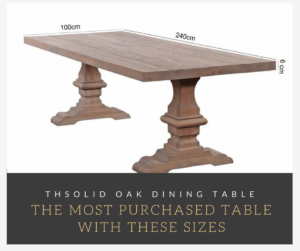 In order not to have to buy a larger table over time, you must initially choose the right size of the table. For example, a table with a length of 2 meters can accommodate 4 people, a table length of 2.6 meters can sit 6 people. A table length of 3 meters can comfortably accommodate 8 people. In some cases, you can seat two people from each end of the dining table, but you need to take into account the shape of the legs, for example, some metal legs will interfere with sitting at the table from the end of the table. How to choose the size of the table for the kitchen? Find out how many people usually eat at the same time at the table, if you have small children or you plan to have children in the near future, you need to consider this too. See about how much space you need for each person, you must also take into account how much space is taken up by dishes for each person. 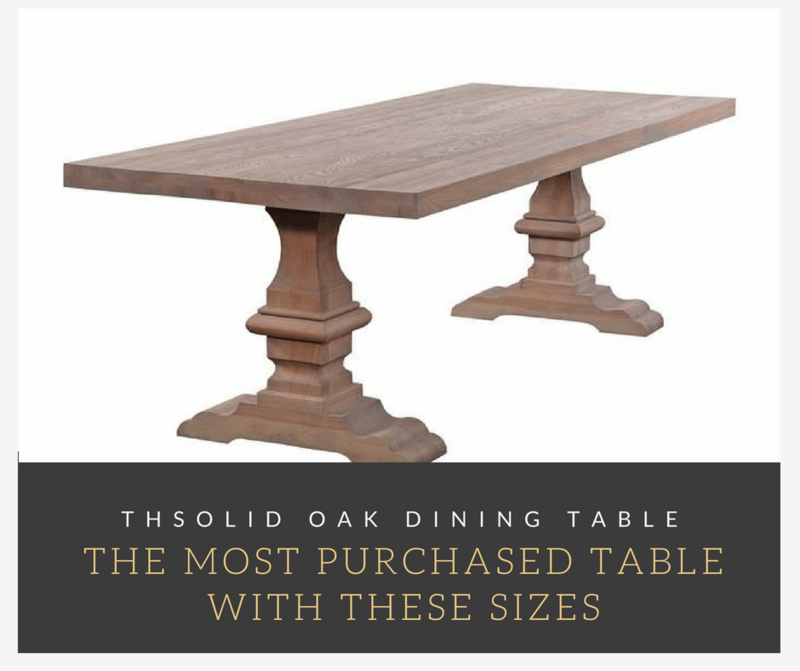 Based on the data you can safely choose the size of the table. If you have a large kitchen, then it is best to immediately buy a large dining table with a length of 3 meters. 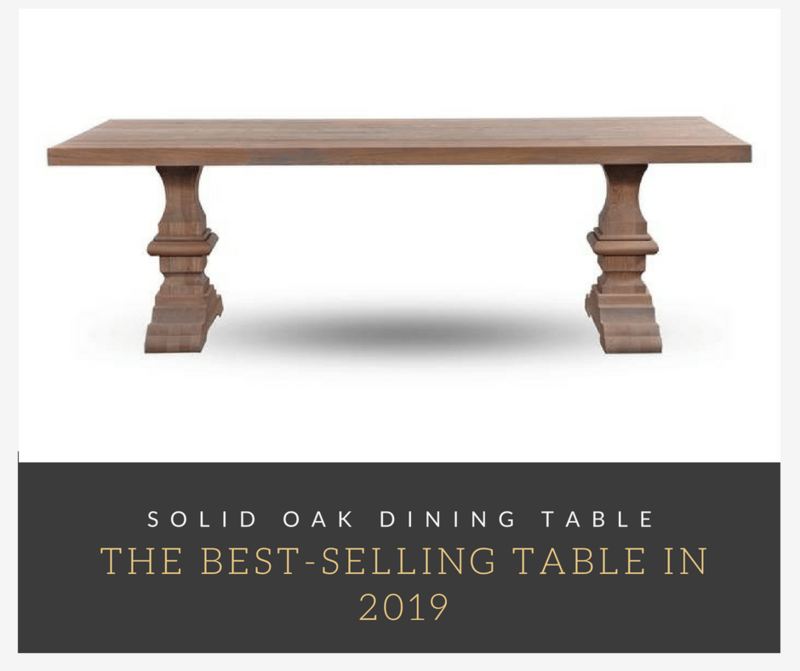 Please note: on average, the dining table made of solid oak with a length of 3 meters has a weight of more than 70 kg.Having such a large weight, you can not worry that the table itself will move. If you want to discuss this article or have your own opinion, write in the comments. PreviousPrevious post:Beautiful tables with epoxy resinNextNext post:how to enlarge a dining table for extra seating?